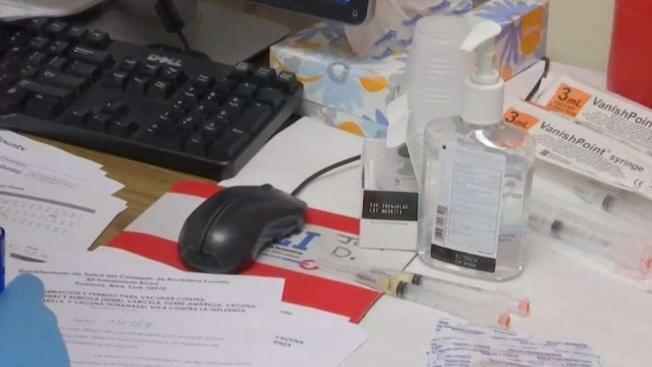 The Rockland County declaration of a measles state of emergency has had a positive impact — although the number of confirmed cases continues to rise, officials announced Friday. Ken Buffa reports. The Rockland County declaration of a measles state of emergency has had a positive impact — although the number of confirmed cases continues to rise, officials announced Friday. 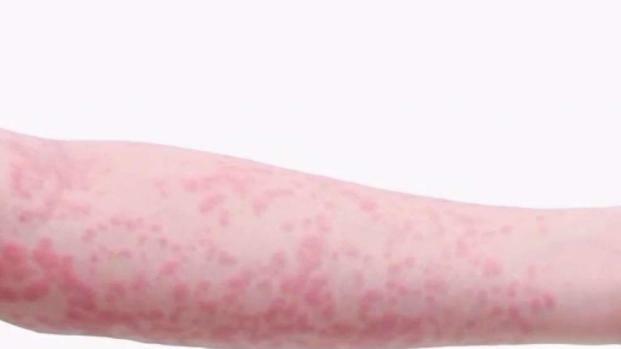 The number of confirmed cases of measles in Rockland County rose to 157, Rockland County Commissioner of Health Patricia Ruppert said Friday. The increase in numbers comes mere days after the county declared a state of emergency and banned children who are unvaccinated against the measles from public places. According to Ruppert, there are recent cases of public exposure from the last few confirmed cases, including an Uber that traveled from Monsey Hub Shopping Plaza in Monsey on March 20 from 1:20 p.m. to 3:30 p.m. and a Nyack taxi that traveled from the same plaza also on March 20 from 2 p.m. to 2:10 p.m. with the risk of exposure until 4:10 p.m. Additionally, there is a risk of exposure at the Rockland Kosher Supermarket in Monsey that occured on Sunday from 1 to 5 p.m., as well as in a La Familia taxi that initially traveled from Rockland Kosher Supermarket from 3 to 3:05 p.m. with the risk of exposure until 5:05 p.m. The local outbreak of the measles entered its 26th week this week — the longest since the disease was eradicated in the United States in 2000, according to officials in the New York. Anyone found in violation could face six months in jail and/or a $500 fine. According to County Executive Ed Day the declaration has been having an impact, saying Friday in a press conference that “we have heard of crowded doctors’ offices." He said the declaration came just in time for the Easter and Passover holidays, when families get together to celebrate. "The goal is to get as many people immunized as possible — we want people to enjoy the upcoming holy days," he said, adding that since the declaration Tuesday almost 500 vaccines have been administered on top of the thousands that have been given since the outbreak started in October. It's a health crisis that local leaders are telling everyone to take very seriously. Checkey Beckford reports. Day said that Rockland County is ahead of the curb in comparison to other localities that are also dealing with measles outbreaks. "I want to point out where we are here in Rockland County and why we are ahead of the curb," Day said. "Other localities, in Brooklyn, for example just reported 31 new measles cases this past week — 31 in a week. This is not going to happen here in Rockland County. The reason why we took action in Rockland is because it became very apparent that the trajectory of success was starting to alter." The outbreak started after seven unvaccinated travelers with measles entered the county in early October, health officials said. 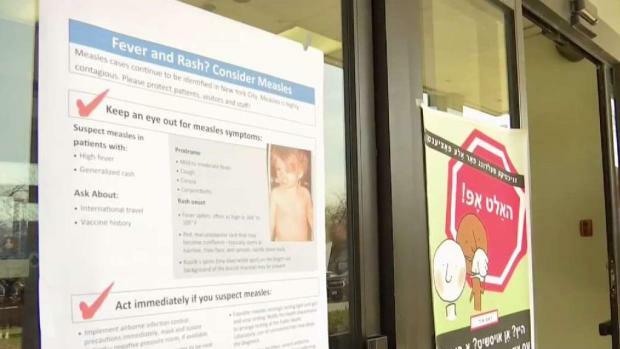 Rockland County has been grappling with a measles outbreak in recent months affecting residents in Spring Valley, New Square and Monsey. Officials had previously asked students who are unvaccinated not to attend school. As of March 27, there have been 214 confirmed cases of measles in Brooklyn and Queens since October, according to the New York City Department of Health. Most of these cases have involved members of the Orthodox Jewish community. Williamsburg saw 31 new cases this past week, while Midwood/Marine Park and Borough Park saw one new case each this past week.